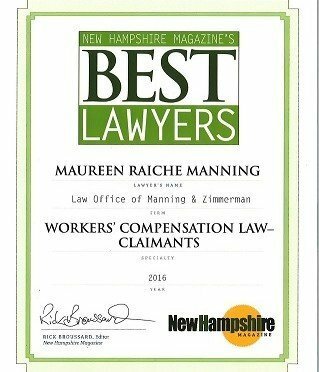 Attorney Maureen Raiche Manning, partner with the Law Office of Manning and Zimmerman PLLC, has been selected as a 2016 “Best Lawyer” by New Hampshire Magazine for her representation of injured workers. The Law Office of Manning & Zimmerman, located at 87 Middle Street in Manchester, NH, handles cases involving all personal injuries, workers’ compensation, medical negligence, family law/divorce matters, and Social Security disability. 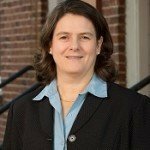 Attorney Manning is joined in the practice of law by her partner, attorney Anna Goulet Zimmerman, associate attorney Dan McKenna, and of-counsel attorney and UNH Law Professor Emerita Ellen Musinsky. 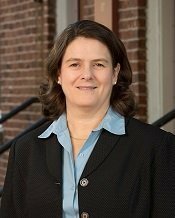 In addition to the New Hampshire Association for Justice, Attorney Manning is a member of the New Hampshire and Manchester Bar Associations, was the inaugural president of the New Hampshire Women’s Bar Association, and served as a Commissioner on the New Hampshire Human Rights Commission. Attorney Manning, who lives with her family in Manchester, NH, is the author of a column describing her mission in representing those who have been the victims of negligence. If you have been injured in an accident, a Manchester personal injury attorney at the Law Office of Manning & Zimmerman PLLC may be able to provide the representation you need to get the compensation you deserve. Once you retain an attorney, you should never contact the insurance company of the individual or entity that caused your injuries. Your attorney will contact the insurance company and get answers without you having to contact them. There are no circumstances in which you will benefit from contacting the insurance company after you have retained the services of a Manchester personal injury lawyer at the Law Office of Manning & Zimmerman PLLC. In New Hampshire, the insurance company of the at-fault person is prohibited from contacting injured victims once they have retained a lawyer. If you have your own medical insurance, you may directly contact the company under certain circumstances. However, you should always ask your lawyer whether it is appropriate to contact the insurance company. 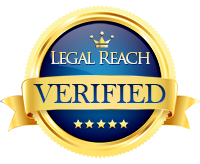 Once you are represented by an attorney, that attorney acts on your behalf and represents your interests to all parties involved. It is important never to contact or speak to an insurance company without first obtaining approval from your lawyer. This ensures that you do not unwillingly say or ask something that could compromise your case. 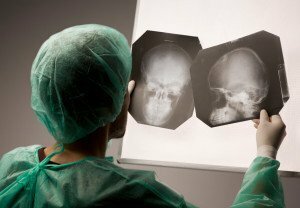 The other insurance company does not have your best interest in mind when it comes to a personal injury lawsuit. In fact, your own insurance company may be biased towards a certain finding. This is why it is essential to keep your communications limited to your own legal representative who can then tell you whether it is appropriate to speak with another party or not. 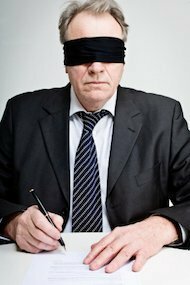 There may be legal consequences for companies that seek to contact you outside of your attorney’s knowledge. Call the Law Office of Manning & Zimmerman PLLC at (603) 624-7200 to speak to a Manchester personal injury attorney. 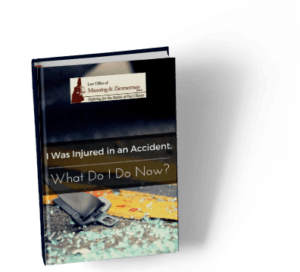 If your injury case enters litigation and you are likely to be deposed, this quick-reading 14-pager from the experienced NH injury attorneys at the Law Office of Manning & Zimmerman PLLC walks you through the types of questions you need to be prepared for. A deposition is when you are asked a series of questions related to your personal injury claim while you are under oath, before a court reporter that transcribes your testimony, and prior to trial. Your oral testimony can be used by your Manchester personal injury lawyer at the Law Office of Manning & Zimmerman in support of a pre-trial motion or during trial. — Questions about Another Person’s Thoughts, Beliefs, Motivations, etc. If you have been injured through no fault of your own, it is essential that you have competent legal representation from the onset of your case through litigation. 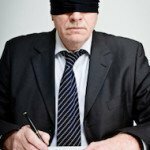 Big insurance companies have lawyers looking out for their interests and you should too! The experienced NH injury attorneys at the Law Office of Manning & Zimmerman, PLLC offer free initial consultations to NH injury victims. Call us at (603) 239-2489, complete a request for a consultation on our website, or send us an email. Many Americans are signing away their right to a day in court. There’s a legal land mine buried deep in thousands of consumer and employment contracts called a “forced arbitration” clause that threatens our right to hold major corporations accountable for wrongdoing. This loophole prohibits Americans from taking companies to court and instead forces them into secretive arbitrations, which are typically stacked in favor of the company. An investigation by The New York Times has focused renewed scrutiny on the harm caused by forced arbitrations in claims of medical malpractice, sexual harassment, hate crimes, discrimination, theft, fraud, elder abuse and wrongful death. You can join others in petitioning Congress to ban forced arbitration right here. Major cases of food contamination at Chipotle Mexican Grill and Blue Bell Ice Cream this year illustrate the growing problem of foodborne illness. According to a new report from the American Association for Justice, 48 million people fall sick, 128,000 are hospitalized and at least 3,000 die each year from foodborne illnesses. Questionable production techniques and cost-saving measures, combined with weak state and federal oversight, threaten to make the situation worse. 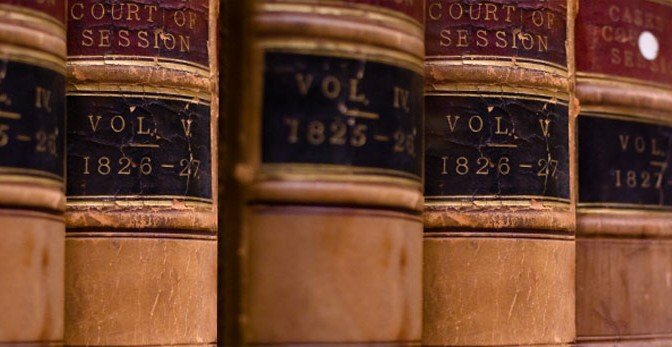 According to the NH injury attorneys at the Law Office of Manning & Zimmerman PLLC, litigation helps shed light on dangerous practices and hits companies back hard with large financial penalties and damaged reputations. Trinity Industries guardrails may spear cars on impact, as illustrated here. 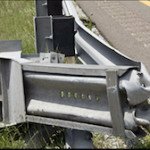 Trinity Industries modified its highway guardrails to save money but instead created a deadly hazard, all of which didn’t come to light until it was sued by a whistleblower and those who suffered injuries as a result of the defect. Rather than slow down a vehicle when impacted, the Trinity guardrails spear through the passenger compartment. A federal judge recently ordered the company to pay $663 million in penalties for concealing the design modification from federal officials. 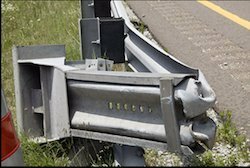 At least 14 lawsuits blame the guardrails for causing injuries in crashes, including five deaths, according to The New York Times. Airbags made by Takata and installed in vehicles from 12 different automakers can explode when deployed, injuring or even killing occupants. A report published in The New York Times alleges that Takata knew of the defects for years but failed to take action. Since then the National Highway Traffic Safety Administration (NHTSA) has recalled 19 million vehicles in the United States, fined Takata for failing to cooperate with its investigation and handed down a record civil penalty of $200 million. The federal watchdog for nursing home safety has proposed sweeping new regulations designed to improve patient care and safety for more than 1.5 million Americans living in long-term care facilities. Such regulations are long overdue, according to patient safety advocates, family members and the NH injury attorneys at the Law Office of Manning & Zimmerman, who report numerous cases of abuse and neglect. If the regulations are finalized, “unnecessary hospital re-admissions and infections would be reduced, quality care increased and safety measures strengthened,” according to the Centers for Medicare & Medicaid Services. 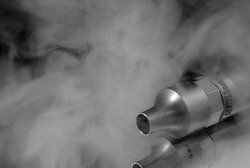 The scandal at Volkswagen over rigged emissions in more than 11 million cars worldwide reminds Americans once again that car manufacturers are often willing to jeopardize the health and safety of consumers to protect their profits. News of the VW scam comes just over a year after GM admitted it had covered up a defect in an ignition switch that has been blamed for at least 124 crash deaths. Both companies might have gotten away with their misconduct if not for a wrongful death lawsuit (in the case of GM) or a chance discovery by a small research team at West Virginia University (in the case of VW). Meanwhile, some in Congress are considering a bill that would bail out VW: learn more and tell Congress to vote no here. Toxic drywall, failing sprinklers, leaking windows and even bursting toilets … these are just a few of the defective and dangerous products that are featured in the “House of Horrors,” an informative infographic from the American Association for Justice. Each case demonstrates how consumers have fought back against shoddy manufacturers through class-action lawsuits, a right that is threatened by forced arbitration clauses as discussed above. Nearly 260,000 kids visit emergency rooms each year for toy-related injuries, according to the Consumer Product Safety Commission. And sadly, 11 children under the age of 12 died while playing with toys in 2014. The most common injuries include poisoning, choking, ingesting magnets or falling from riding toys. While regulators, safety advocates and the parents of injured children have succeeded in ridding store shelves of many unsafe toys, too many still get through. Learn more. If you have suffered a serious injury due to someone else’s negligence, call for a free consultation with the NH injury attorneys at the Law Office of Manning & Zimmerman PLLC at (603) 624-7200.